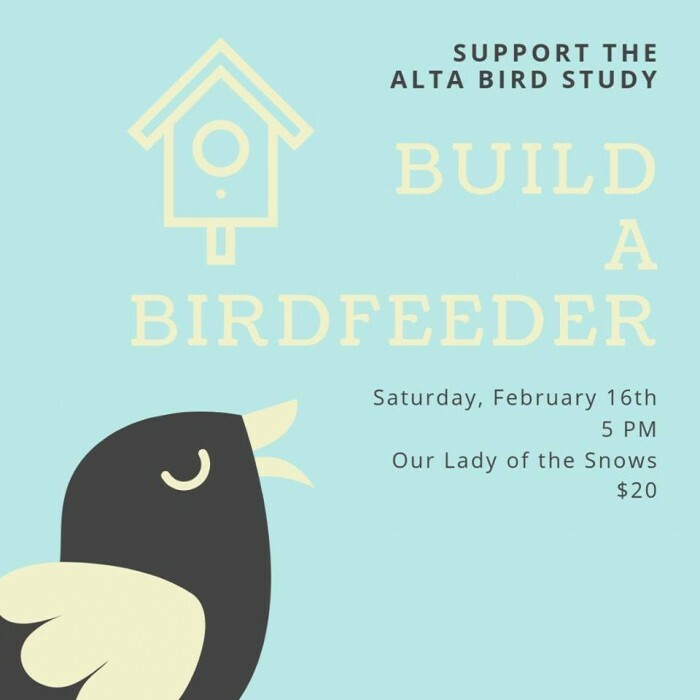 Join Tracy Aviary, Friends of Alta, Alta Environmental Center, and Alta Community Enrichment for a bird feeder building workshop at Our Lady of the Snows! During this 3-hour workshop, you will build a wooden bird feeder designed to help attract a wide variety of birds to your yard. You will also learn firsthand from conservation scientists about the work they are doing to protect Utah’s natural environments, and what you can do to contribute, from hosting a bird feeder in your yard, to joining them as a citizen scientist. Materials, tools, and a feeder template will be provided for registrants. The wood will be pre-cut, and power drills will be used to assemble the feeders. No experience needed – everyone is welcome to join us! Each registrant will be required to sign a liability waiver. Space is limited to 30, so register today! Consider bringing snacks for your self or grabbing a pizza from the Goldminer’s Daughter - as this event is during dinner time!